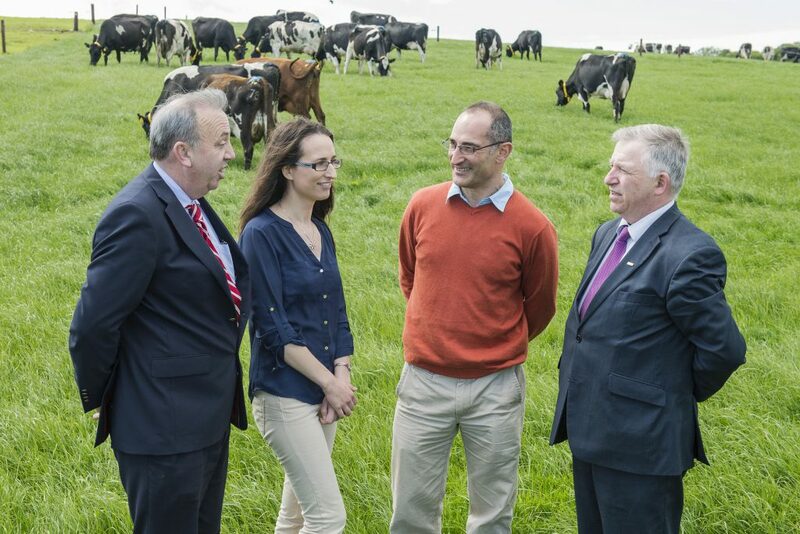 Dr Pat Dillon, Teagasc Rebecca Carroll, Animal Health Ireland, Cosme Sanchez Miguel, Regional Veterinary Laboratory, and Professor Gerry Boyle, Director, Teagasc. Photo O'Gorman Photography. 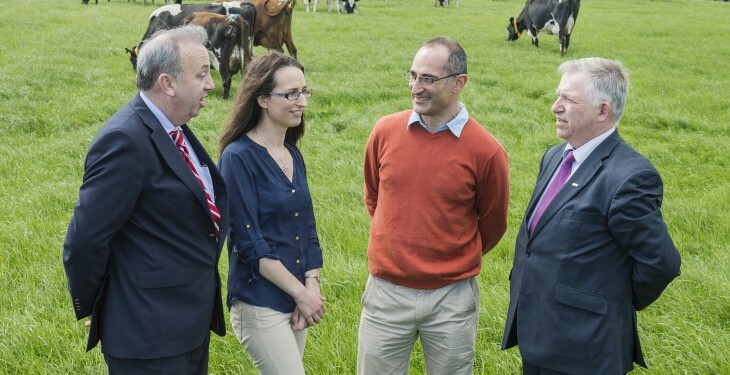 A major Teagasc Open Day for the Irish dairy industry will take place in Teagasc Moorepark, Fermoy, on Wednesday, July 1. The theme for the open day is ‘Sustainable Expansion’ and the event will take place against a background of milk quota abolition earlier this year. The open day which is sponsored by FBD, is to provide dairy farmers and those involved in the dairy industry with the opportunity to view and discuss the latest developments in key dairying technologies that will help farmers to increase the profitability of the family farm business and cope with future challenges such as volatile milk prices. Speaking at the launch of the Open Day, Prof Gerry Boyle, Director of Teagasc, said the abolition of milk quotas provides dairy farmers with significant opportunity for expansion. There will be a network of themed villages for farmers to visit on the day, which include information on Breeding, Grassland, Milk Quality, New Entrants, and Environmental sustainability. A special feature of Teagasc Moorepark‘15 will be a forum on ‘Developing a Successful Career in Dairying’. The forum will include a panel with a range of experience: a student participating in the Professional Diploma in Dairy Farm Management, young share farmers, a new entrant to dairying and farm managers/ owners with a range of experience in farm management. The open day runs from 10.00 am – 5.00 pm. A comprehensive booklet will be provided. Admission and parking is free.